ZGametools Core is at an early stage of the development, this article is outdated. 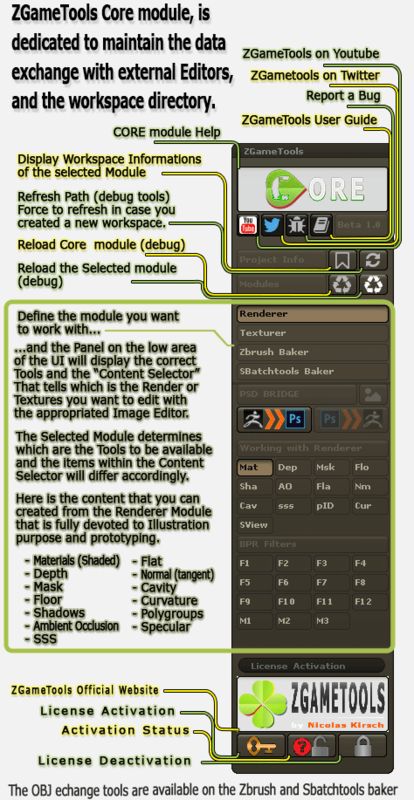 Core module, is the module that handles rendered images and Meshes exported in accordance with the selected module. All Rendered passes types displays into a file selector, open the desire file with the Image Editor. Similar to Renderer , all Rendered passes types displays into a file selector, to open the desire rendered pass with an Image Editor. 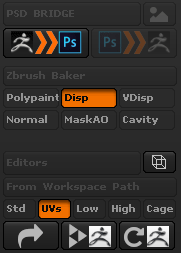 All Baked Textures types displays into a file selector, then open for edit with the Image Editor, the pass that match with the active subtool. If you have batch exported your subtools, then you can edit the Obj file with the user defined Software, in accordance to the Sub directory within the workspace that is active. Note : The File that will open into the application is the Active subtools ( alt click to select the proper subtool to edit is the rule). 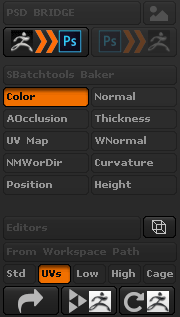 You can edit the baked textures type of your choice that correspond to the current subtool. 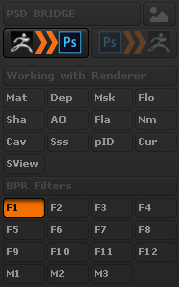 You can open for edit obj files, if your have already batch exported yoru subtools from the baker module. 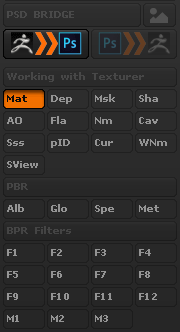 Re-import the current Subtool in Zbrush, in accordance to the subdirectory within the workspace directory. reproject detail onto the new mesh.